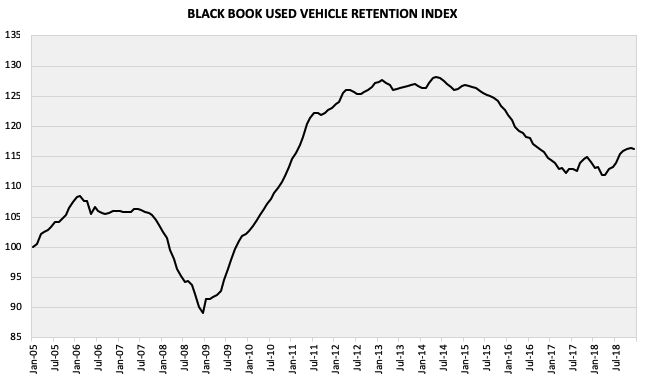 Black Book Market Insights presents in-depth analysis of used car and truck valuation trends and insights straight from the auction lanes. Click here to download the full report. In truck segments, the Compact Crossover/SUV segment depreciated the most. Powersports: values are still frozen in negative territory this month. The changes in value we see for February are very similar to the changes from January. 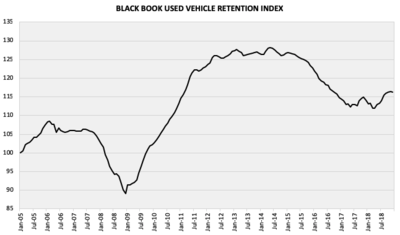 Click below to download the Black Book Used Vehicle Retention Index, updated January 2019.